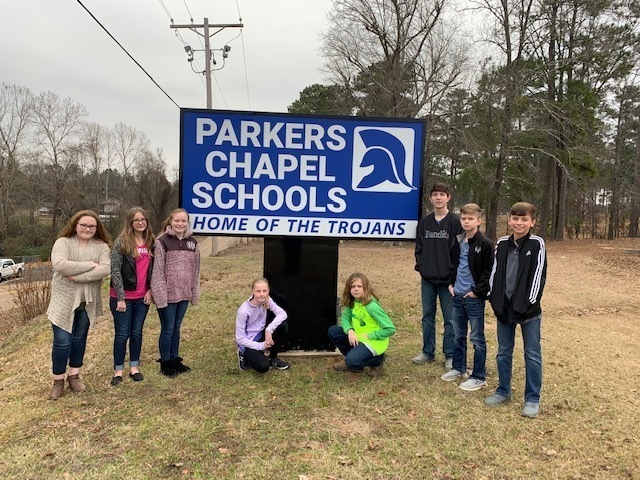 Parkers Chapel Elementary 2018-2019 6th Grade Fire Marshals: Kalyee Ponder, Isabella Palculict, Isabell Hansen, Ellye deYampert, Truss Holloway, Chandler Boykin, Dyson Dougan, and Cameron Mayo. These students go to their deisignated stations in the elementary school during a fire drill, ensure the safe evacuation of the building and make the "All Clear" call. We are extremely proud of their dedication to the safety of their fellow classmates and the students of Parkers Chapel Elementary.